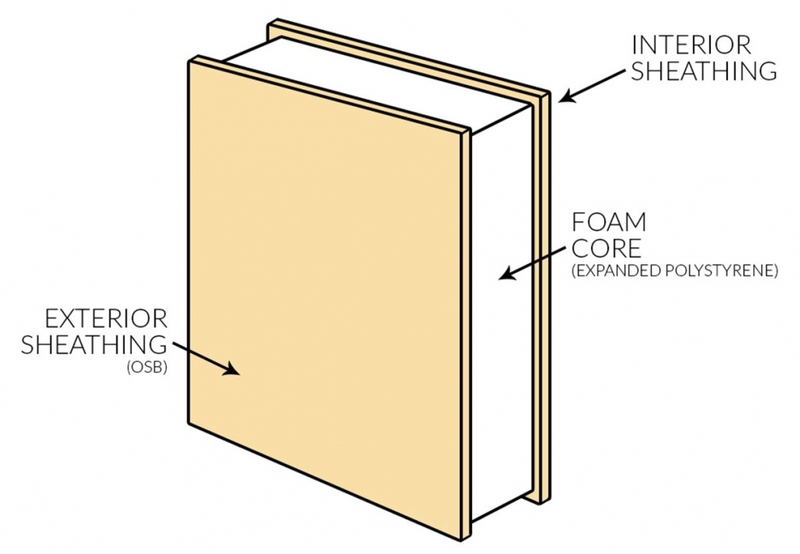 Structurally Insulated Panels (SIPs) are a high performance building panel made up of a insulating foam core sandwiched between two oriented strand boards (OSB). SIP panels are the “wall units” that seamlessly fit together to create the outer shell of your home. Combing timber frame with SIPs not only provides the structural integrity of a timber frame skeleton, but also the highest insulation quality available in a complete enclosing envelope. Colorado Timberframe has formed partnerships with multiple SIP manufacturers who follow the same philosophy not only with customer service but quality as well, having the proper third party certifications and testing. Our panels arrive to the site prefabricated and precut for your doors and windows, as well as pre-drilled with chases for electrical and other wiring. We are able to provide SIP panels for both your roof and walls in an EPS, graphite enhanced EPS, or Polyurethane foam. Building with SIPs creates a superior building envelope with high thermal resistance and minimal air leakage. Panels are pre-cut to exact specification of the rough opening and dimensions of the structure. Complex angles that would take hours to build on site with sticks only take a fraction of the time in a SIP fabrication facility. Pre-fabricated wall panels are manufactured in a climate controlled environment preventing the possibility of on-site weather delays and fitting issues. With pre-routed electrical chases, wiring installation is up to 20-30% faster. With a full timber frame and SIP package you’re creating no waste and no need for a dumpster on site. SIPs save a great deal of time, cost, and waste in their installation when compared to standard 2-by-4 and dry-wall construction techniques. Research over the past ten years has shown that energy efficiency is all about the thermal envelope rather than the type of fuel used to supply energy for heating and cooling a home. This means reducing the air infiltration that occurs around windows and doors as well as through the porous walls that come from conventional framing and dry-walling. Improving the thermal envelope multiplies the efficiency of whatever power sources are used in the home to keep it comfortable. Insulation is rated by R-value, which measures a material’s thermal resistance. The higher the R-Value, the more effective the thermal barrier is between the outside temperature and the inside of your home. 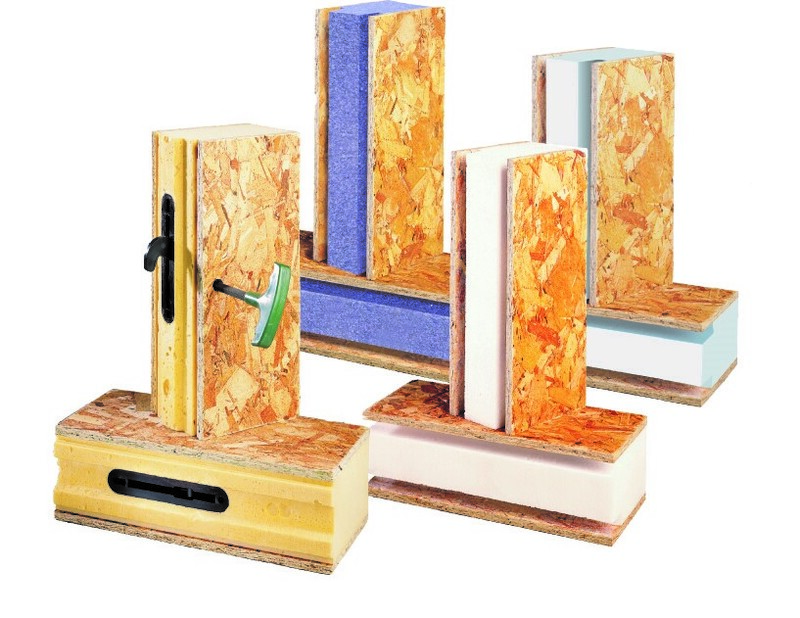 SIPs R-Value ranges from R-15 to R-52 and vary in thickness from 3 ½” to 12”. Which works best for you is a matter of the climate where you will be building. It is not unusual to use thinner panels for your walls and thicker panels for your roof, for example. We will work with you to find the best economic value and the best insulation quality for the climate zone in which you are building.